One of our favorite animal print accessories. Clean lines, neat stitching and durable faux leather make this tote a sophisticated must-have for everyday use. 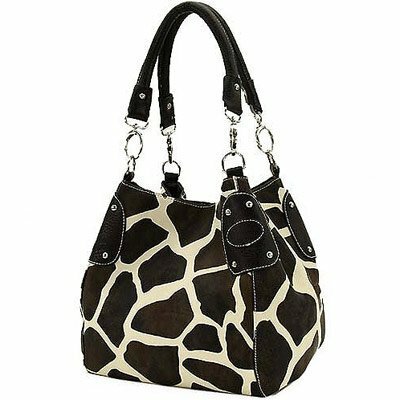 Made by Giraffe Print Faux Leather Material. Cell and Sunglass Pockets. Measures 16L x 11H x 10W inches.